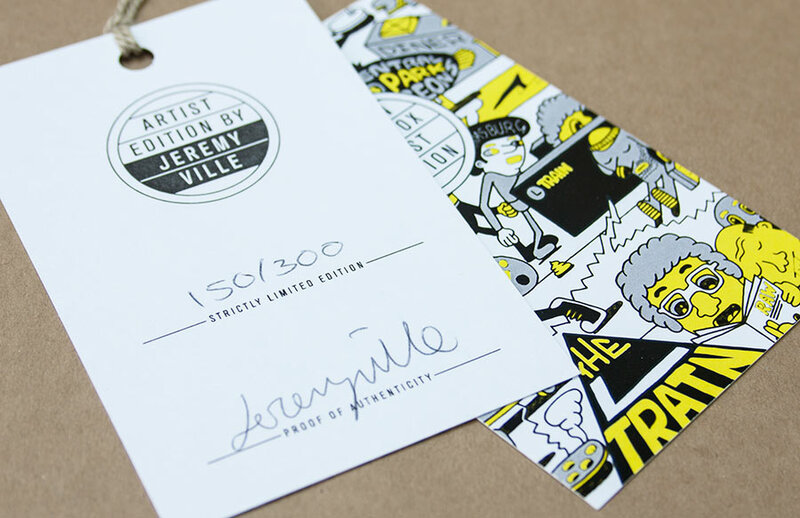 Limited edition of 300, numbered and signed by Jeremyville. 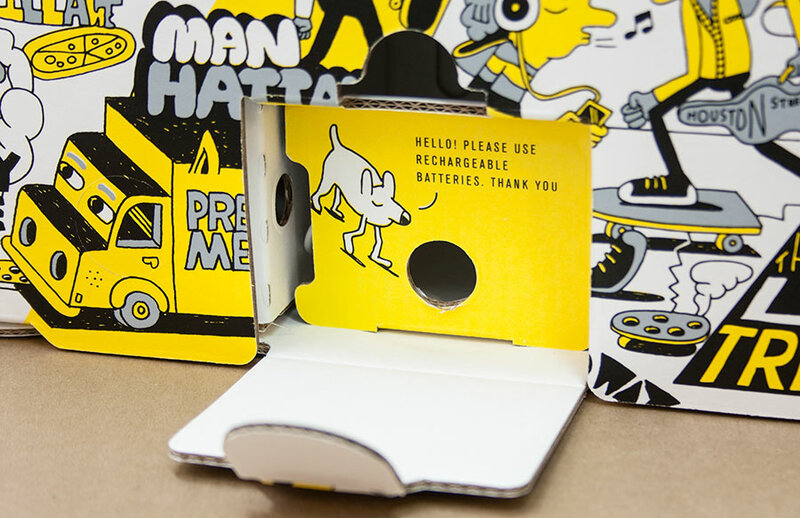 A mobile speaker made from recycled cardboard and ﬂat packed as a DIY kit. German engineered audio technology for powerful sound. Powerful 2x5 watts stereo sound. 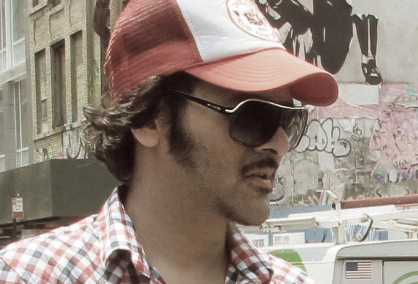 The Berlin Boombox is made from the best available corrugated cardboard. It features a strong carrying handle and a beautiful aluminum knob for power and volume control. All parts are designed with a dedication to detail and manufactured with greatest possible level of precision. 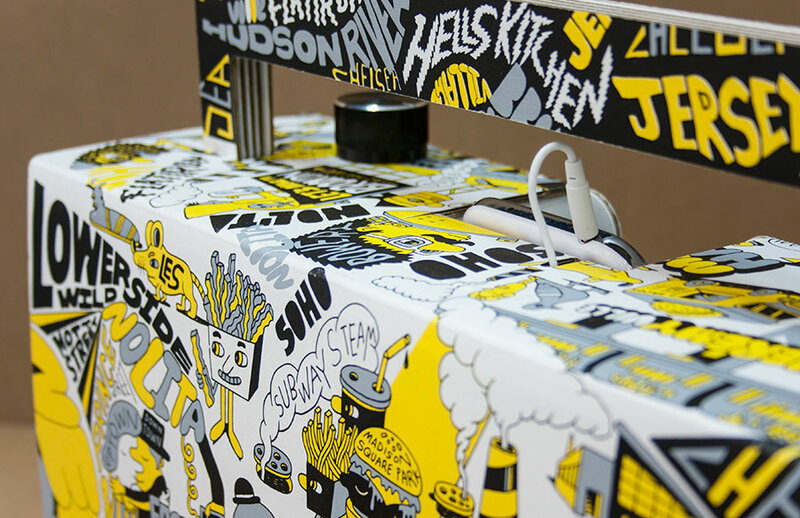 The cardboard case of the Berlin Boombox is beautifully screenprinted using water-based Pantone inks by our screenprinter in Berlin and manufactured by Stange Design in Berlin. If you have damaged the case of your Berlin Boombox or if you want to update to a new design, you can purchase a new cardboard case in our shop, and just replace the old one. compatible with most smartphones*, mp3 players, laptop computers and tablets. Corrugated board type E, double layer, Thickness: 2mm. Sustainability Brown color: 100% recycled cardboard. Other colors: partially recycled cardboard. 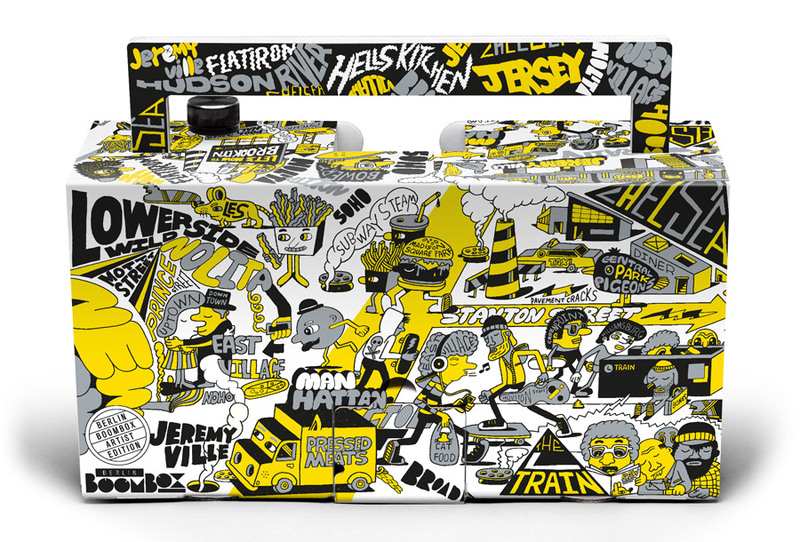 Get a Boombox from Jeremyville! New York based artist Jeremyville is famous for his designer toys, humorous drawings and distinctive cityscape illustrations. 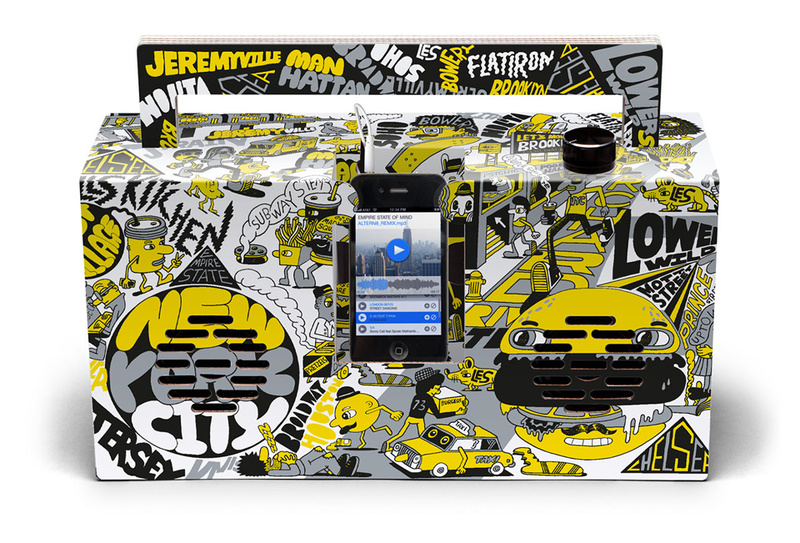 We love Jeremyville and are happy about his creation for the Berlin Boombox Artist Edition. It’s all about New York City! The Berlin Boombox is a mobile speaker inspired by the old school ghettoblasters of the 1980s, blending classic boombox style with today’s audio technology. 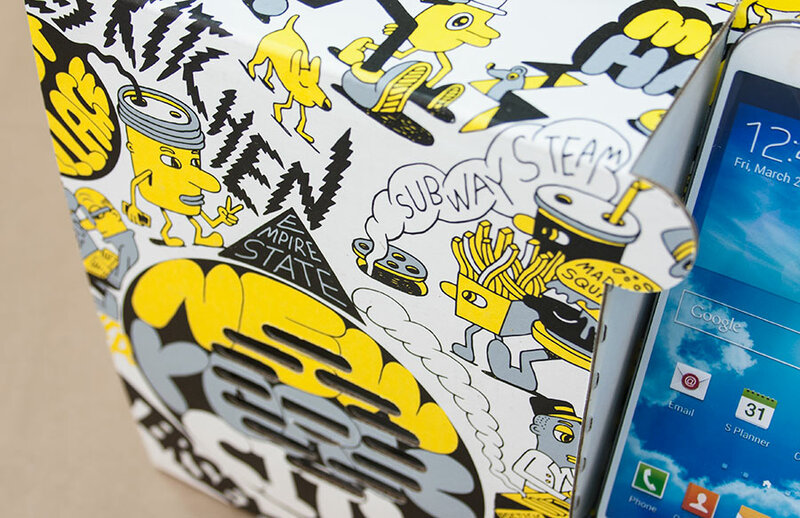 The bold design makes the Berlin Boombox a real eye-catcher, a speaker you want to show off, like back in the days. Let us take you from the old school to new possibilites with Bluetooth® Wireless Audio. Enjoy your music wireless from all your Bluetooth®-enabled devices. Control all Bluetooth functions with only one single knob. Our German engineered audio technology delivers powerful music from your device, no matter if smartphone, iPod, tablet or laptop. 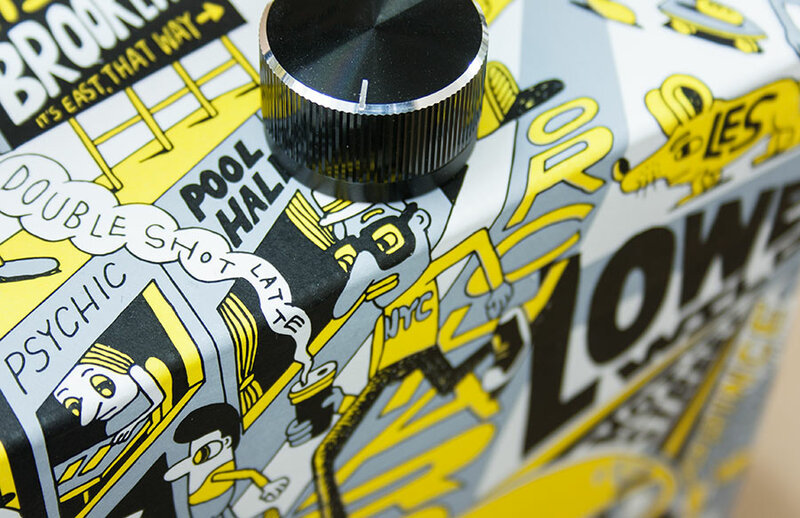 The Berlin Boombox is made from high quality cardboard and comes ﬂat packed as a DIY kit including all audio components. Assembly is fun and easy without the need for tools or glue. The Berlin Boombox started as a Kickstarter project in 2012, raising $20,000 in only 30 days. In September 2012 we released our ﬁrst model our classic black and white design. Since then, we have been continuously developing new colorways and designs. The Berlin Boombox is compatible with every smartphone* and mp3 player, tablet or laptop. Connect to your device’s headphone jack or connect wireless via Bluetooth®. Our speakers offer powerful sound thanks to German engineered speakers and electronics. Wireless Bluetooth audio is available for maximum connectivity. Thanks to the use of recycled cardboard and flat shipping, the Berlin Boombox is the most eco-friendly powered stereo speaker on the market.